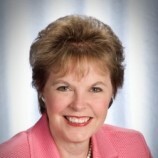 Ann H. Cary, director and professor in the Loyola University School of Nursing, was named a 2008 Robert Wood Johnson Executive Nurse Fellow. This fellowship program focuses on leading the country’s health care system into the 21st century. Cary was one of 20 nurses in an executive leadership role to receive the fellowship this year. Now in its 11th year, the three-year fellowship program is designed to strategically position the voice of nursing across many sectors of the economy in a health care system undergoing unprecedented change and challenges. As part of the fellowship, Cary will have an opportunity to undertake a leadership project to benefit the school of nursing, with funding support from the Robert Wood Johnson Foundation and matching funds from Loyola. Cary’s project will develop a program for excellence in graduate nursing education among selected Jesuit colleges and universities. Currently there are 20 schools of nursing at Jesuit institutions in the United States. Results of this project will be released to other higher education systems, policy makers, accreditors and health care systems. "I feel privileged to have the weight of the Robert Wood Johnson Foundation and Loyola University to plan, execute and evaluate a new model of collaborative graduate nursing education, which can provide access for more students and to faculty and programs from all over the country," Cary said. "This project aims to examine the prudent use of resources, priority in institutional investments, social justice and targeted growth to meet the need for a more highly educated graduate nursing workforce globally." Cary came to Loyola last summer from the University of Massachusetts Amherst. She served as associate dean of academic affairs at the School of Nursing and director of the Master of Public Health Distance Learning Program at the School of Public Health and Health Sciences, and as director of the dual degree program for master of science in nursing and master of public health. Cary has been in the public health field for 25 years. In addition to her roles at Amherst, Cary also served as a project director of the home health administration program at the Catholic University of America in Washington, D.C., and coordinator of the Ph.D., program in nursing at George Mason University. Cary currently co-chairs the National Nursing Advisory Committee to the Public Health Training Centers. Her public health service experience has been as a federal grant reviewer, researcher in a credentialing organization and a clinical provider in public health. According to its website, "the Robert Wood Johnson Foundation focuses on the pressing health and health care issues facing our country. As the nation’s largest philanthropy devoted exclusively to improving the health and health care of all Americans, the foundation works with a diverse group of organizations and individuals to identify solutions and achieve comprehensive, meaningful and timely change." For more information on the foundation, visit www.rwjf.org.